Crazy Crafty Mama is the newest blog on the block. It was started by Carrie from Finny's Funny Fleece and features SAHMs who sell their crafts on Etsy. 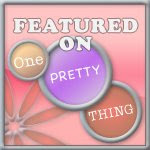 Each week CCM is going to feature a SAHM, her shop, crafts, family and a bit about her pre stay-at-home life. And, you're never going to guess who her first feature is! Give up? It's me! Click on over to CCM and take a peek. Hey, leave a comment and you'll be included in a drawing to win a onesie from my shop. Can't beat free. Are you a SAHM with a shop on etsy? Tell Carrie. You'll be supporting an up and coming blog and getting a little promo for your shop.